This part of the Christmas season - when the holiday countdown is in the single digits and retailers and shops have closed the window of Christmas delivery - always gives me a little bit of anxiety. Did I miss anyone on my list? Is the house decorated enough? Have I mailed anything that needs to be sent to out-of-state loved ones? Did I do enough to truly embrace the holidays? The Christmas season is here and gone in the blink of an eye, and before we know it, we'll be saying goodbye to 2015. But do not despair, holiday crafters! 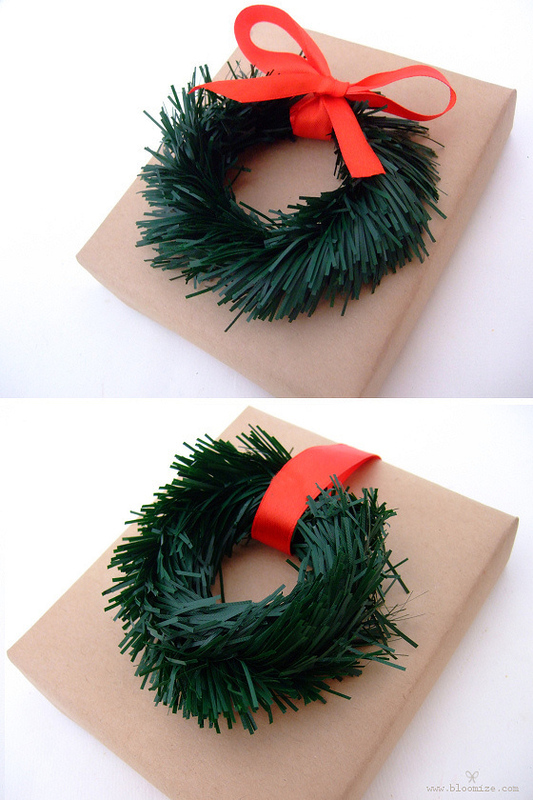 There's still time to get a few more DIYs in this season! Below are eight easy Christmas projects that can be finished quickly and mostly with items you probably already have (or can get at any local craft supply store). 1. 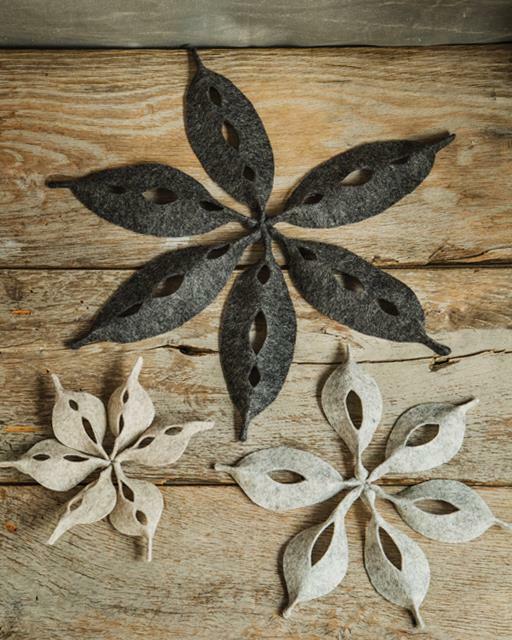 Sweet Paul's Cut Wool Felt Stars: Sweet Paul always has the most charming crafts that a DIYer of any level can handle. These felt stars are sweet, cozy, and only require the most basic craft supplies (plus Sweet Paul's free template!). Use these on a table, door, on the tree, strung together as garland - the possibilities are endless! 2. Oh Happy Day's Christmas Tree Name Cards: The pine tree is one of my favorite winter symbols, so really, these name cards could be used all season long. I love these as name cards for a fun Christmas kids (or big kids!) table, but I also would just love a ton of these scattered throughout a holiday buffet table. And decor you can snack on? Score! 3. Apartment Therapy's Mistletoe Kissing Ball: I actually made this one myself this season, so I can attest to how quick and easy it is. I only had half the amount of fabric required, and it still turned out great. I love how warm and cozy the felt looks hanging in my doorway! My one tip would be when you're doing the running stitch, stitch as close to the ends of the felt as possible to give your kissing ball a rounder, fuller look. 4. Better Homes & Gardens' Cookie Cutter Ornaments: Need to fill out an empty-looking tree? These ribbon-wrapped cookie cutter ornaments are a total breeze. I love BHG's tip to use tape to attach the ribbon instead of glue so the cookie cutter can still be used. These would be adorable as a gift topper for your baker friends! 5. 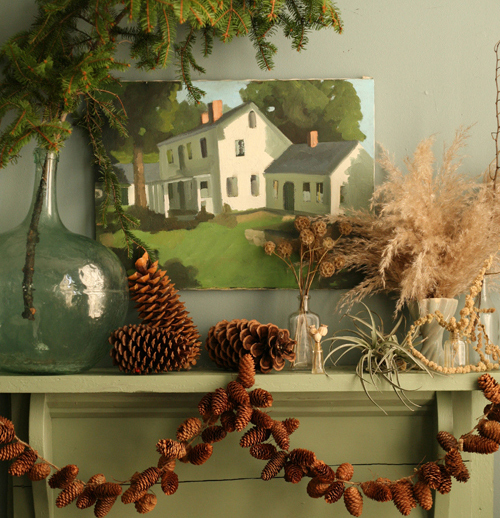 Design Sponge's Pine Cone Garland: My favorite DIYs are the ones that use materials you can find right in your backyard. Not only is it more economical, but it's a fun, fresh way to bring the outdoors in. This garland is worth the extra time because it can be used all season long, not just during Christmas. If you do collect pine cones instead of buying them, make sure you bake them on a foil-lined sheet pan at 200 degrees for about an hour. This not only dries out and opens up the pine cones, but also kills any bugs living inside. 6. Bloomize's Mini Tinsel Garland Wreath: I am so head-over-heels for this DIY that I'm actually making them for all my gifts this Christmas. I couldn't find tinsel garland when I went shopping recently, so instead I picked up some sparkly pipe cleaners and twisted a few together to achieve a similar look. I even did a cluster of these on one of my gifts and I love how they pop off the brown kraft paper. So easy and so festive! 7. Say Yes' Fresh Mini Christmas Trees: If you've already trimmed your tree and threw out the scraps, head to your local tree lot for the supplies for this one. 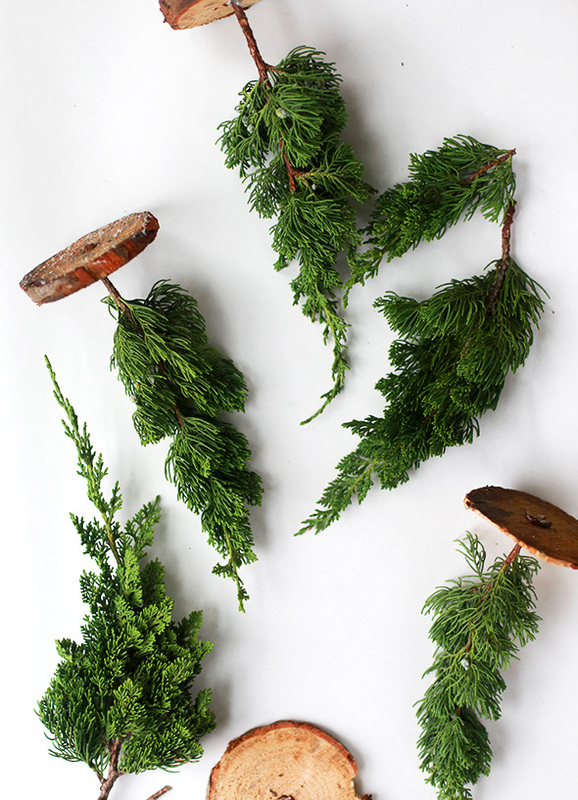 With little more than tree trunk scraps, fresh clippings, and a glue gun, you can create a mini pine tree forest for your holiday soiree. Place these in little clusters throughout your home - on the mantel, on window sills, even up the stairs - or arrange them in varying heights down the center of your Christmas table to create a mini forest. The best part is these can be displayed all season long! 8. Delineate Your Dwelling's Evergreen Hoop: The rustic simplicity of this charming evergreen hoop just screams Scandinavian and can be made entirely from supplies that most of us have lying around the house and the yard. But the best part of this DIY? It's ripe for customization: use different colored twine, a branch with an interesting shape, or even leftover Christmas ornaments instead of the pinecones. Make just one or create several in different sized embroidery hoops for a more powerful display.